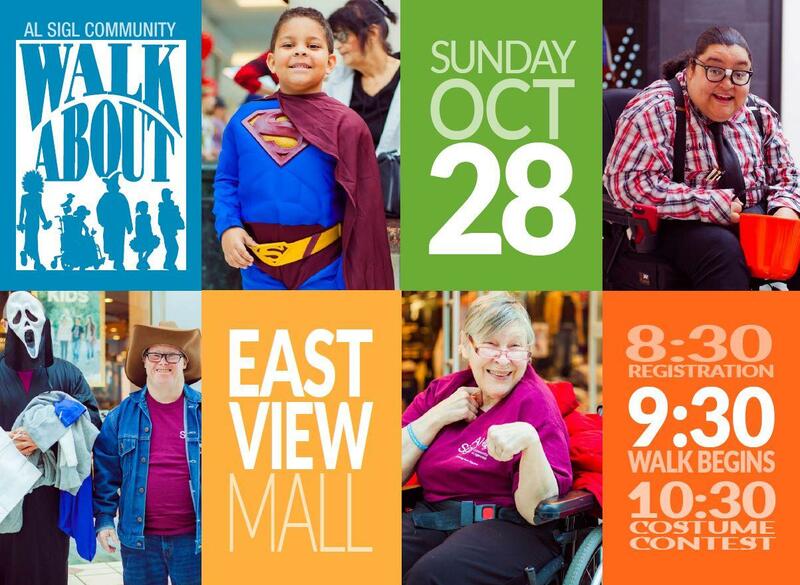 WalkAbout is a Halloween-themed event that brings together individuals and teams to have fun and raise funds for Al Sigl’s six Member Agencies serving over 55,000 children and adults with special needs in our community each year. Enjoy breakfast, trick-or-treating, and other kid-friendly activities inside the mall. Raise $25 or more to receive a WalkAbout t-shirt. This is a free event; donations can benefit an individual Member Agency, or all six! Event Begins – 9:30 a.m.